I personally use 2B-4B regular wood pencil of any major brands in art store. Nowadays, I use what I can find around me pen or pencil doesn’t matter as long as I can fit the proper lines and value in the sketchbook. 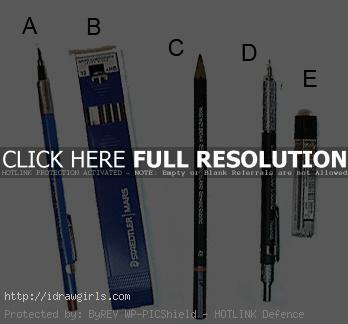 D) mechanical pencils. Standard mechanical pencils can be found in several thicknesses. .3mm, .5mm and .7mm with .3 being a bit tricky to find. Many artists use these exclusively and are able to produce stunning work with them. I find them excellent for detail work but do not use them in the main. 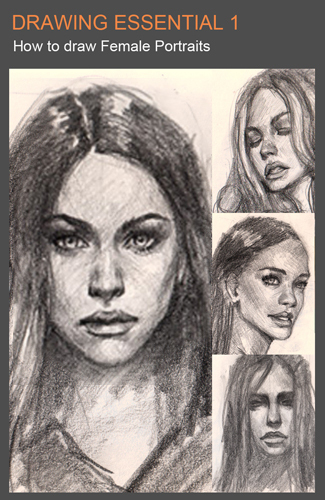 – 5 steps to improve your drawing skill fast..
– How to draw hair. – How to draw eye. – How to draw nose. – How to draw body. – How to draw man muscles body.